Transformers Movie 2007 Leader Class Optimus Prime Teaser | Out of the box. Obviously, a transformers collection is never complete without Optimus Prime. Without Optimus Prime surely, it is like chocolate cake without chocolate flavor. 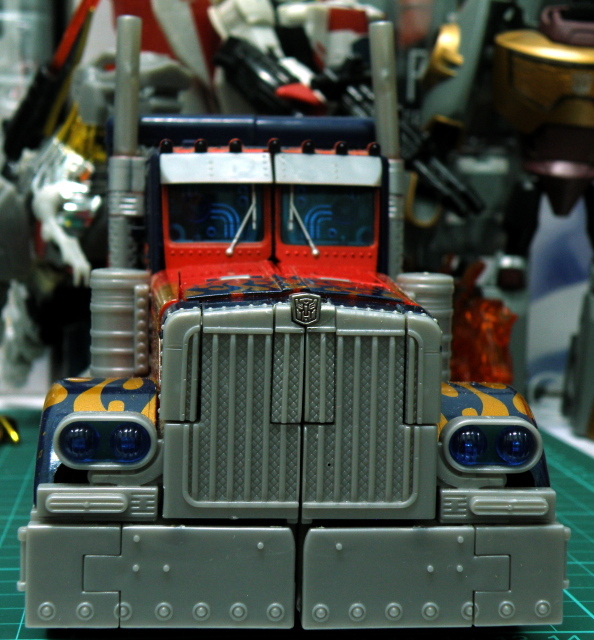 My next blogs will be about Optimus prime from the 2007 Transformers. Stay tuned. This entry was posted in Mecha, My Hobbies, Transformers and tagged autobot, convoy, cybertron, hasbro, hasbro transformers, optimus, optimus prime, review, review summary, transformer, Transformers by KarMeng. Bookmark the permalink.